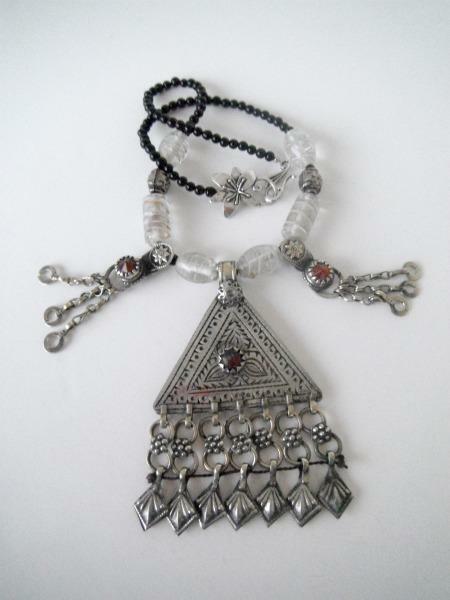 This beautiful Arabesque Triangle Pendant Necklace comes with six clear glass beads, two long silver pendants and two metal beads. 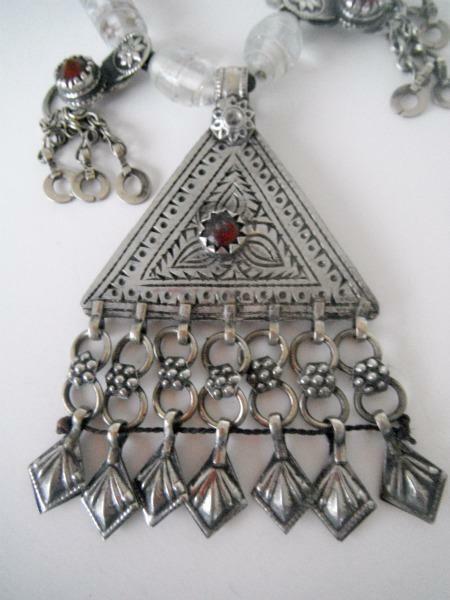 The pendent and two side hanging pieces are from Afghanistan. 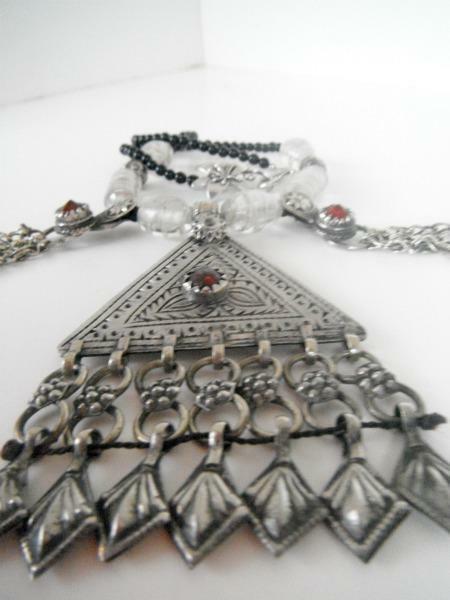 I had bought the necklace from an Afghani dealer, but the necklace he sold me was in pieces and unwearable. 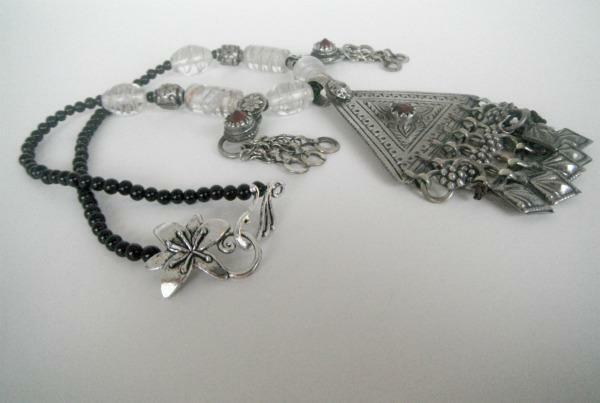 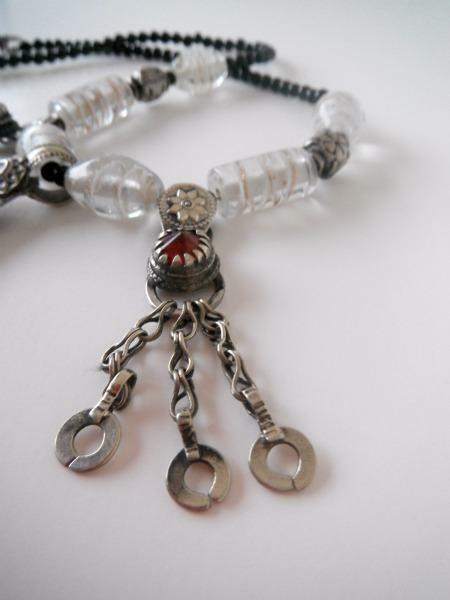 So I took it apart and created this piece with the clean glass beads and black beads around the neck area. 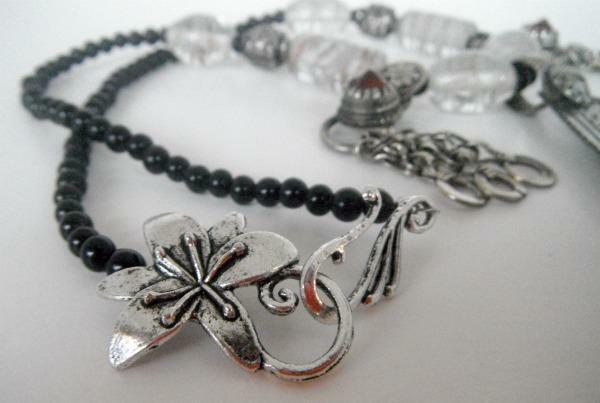 The clasp is from Blue Moon. 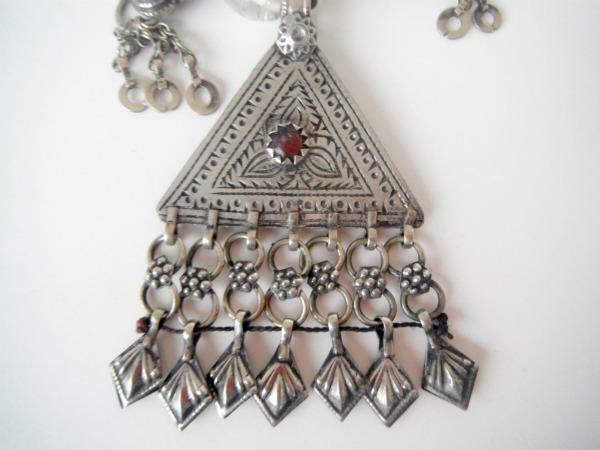 The stone in the center of all three pendents is very old, so I am unable to get a clear image of what type it is. 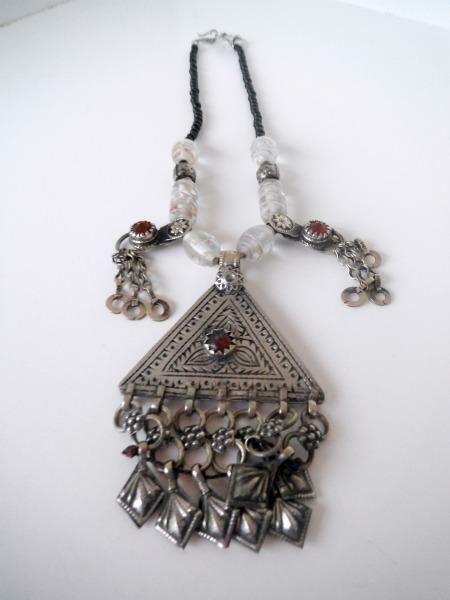 It might be Coral, or it might be Carnelian Red.